Kevin Matthews attended the CWL last January and was awarded for his efforts, earning a contract with the Lake Erie Crushers of the Frontier League. Matthews is a 24-year old from Richmond Hills, Georgia and was drafted out of high school, in the 1st round of the 2011 MLB Draft by the Texas Rangers, 33rd overall. After spending four seasons in the Rangers organization with stops at Rookie ball and Single-A, he was released following the 2015 season. He came to the California Winter League in search of a contract to continue his career. With the Alberta Grizzly, Matthews appeared in six games including five starts, throwing 15 innings and striking out 33 hitters. He earned a contract with the Birmingham-Bloomfield Beavers of the United Shore Professional Baseball League. 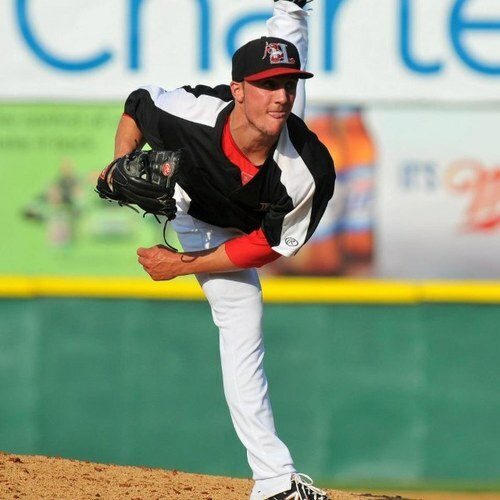 The 5’11″, 180-pound lefty reported to Birmingham-Bloomfield where he went 2-1 with a 1.60 ERA in 6 games for the Beavers, before being signed by the Atlanta Braves organization. He finished the year with the Florida Fire Frogs of the Florida State League, after stops at Gwinnett and Rome in the Braves organization. The CWL congratulates Kevin on all of his hard work and wishes him the best of luck on his endeavors!